James Patterson presents a bold new heroine--a cross between Katniss Everdeen and Annie Oakley: Serendipity Jones, the fastest sharpshooter in tomorrow's West. Seventeen-year-old Serendipity "Pity" Jones inherited two things from her mother: a pair of six shooters and perfect aim. She's been offered a life of fame and fortune in Cessation, a glittering city where lawlessness is a way of life. 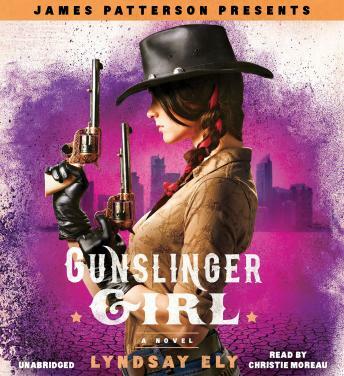 But the price she pays for her freedom may be too great....In this extraordinary debut from Lyndsay Ely, the West is once again wild after a Second Civil War fractures the U.S. into a broken, dangerous land. Pity's struggle against the dark and twisted underbelly of a corrupt city will haunt you long after the final bullet is shot.